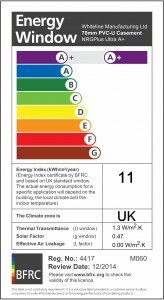 Whiteline A-rated double glazing can help reduce your customer’s carbon footprint and energy bills. We also offer triple glazing for even greater efficiency. By specifying Whiteline you will be actively helping to save energy and save the planet. In the UK our homes create a quarter of all CO² emissions. ‘A’ rated windows are an important way to help reduce our impact on our environment and save your customers money. Whiteline windows will help eliminate energy loss from your home as our glazing units offer up to 3 times more thermal insulation than standard double-glazing and are 20% better than Low-E thermally insulated glass. (Low-E is currently required under building regulations). Whiteline replacement windows incorporate the very latest glazing technology and our PlatinumNRG double-glazed PVCu casement windows achieve the ‘greenest’ Window Energy Ratings (WER) rating of A+ for energy efficiency. 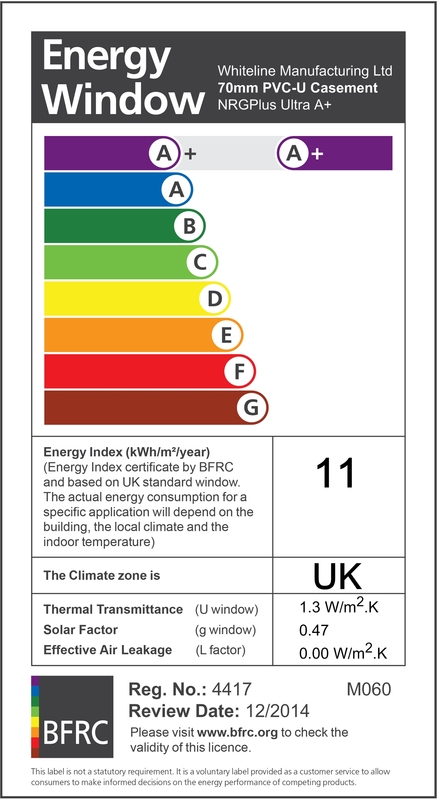 The WER labelling scheme was launched in the UK by the British Fenestration Rating Council, a Government supported independent body that allows consumers to reliably compare one product with another, ‘A’ Rating being the most energy efficient. Whiteline uses PVCu extruded in Britain and with our 10 year guarantee you can be sure our windows are the best on offer. 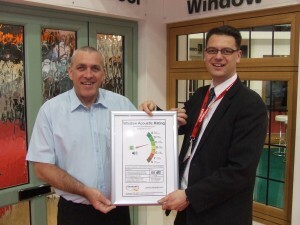 Whiteline are the first UK PVCu fabricator to achieve certification under the new BM TRADA Q-Mark Acoustic Window Rating Scheme and were awarded certificate 001 at the 2013 FIT Show. As with thermal performance the label scheme uses the familiar A-G rating and displays decibel noise reductions (based on measurement of the weighted sound reduction(Rw)) achieved by the specific window specification. For every 5dB increment in the rating, noise is reduced by a factor of approximately one half. Whiteline have the following certified windows – 36dB; 41dB and 44dB, perfect for homeowners looking for a quieter life.